To engage students and recent graduates in innovation and business creation, we are planning two new programs and facilities at IU Bloomington. 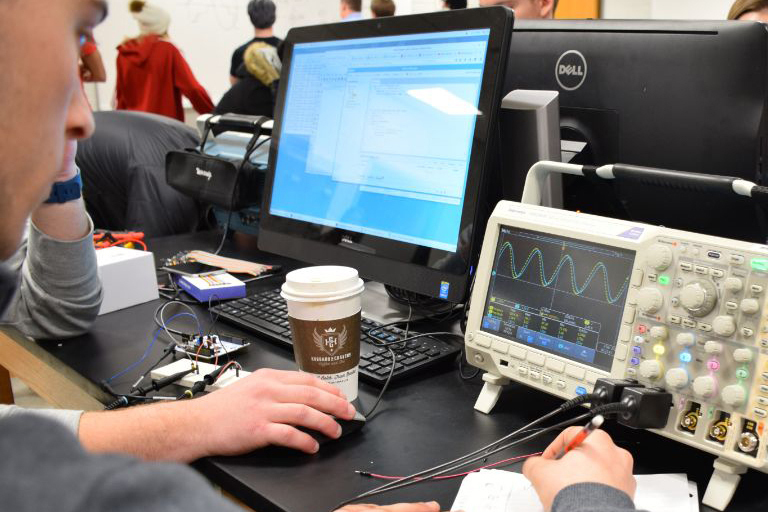 Undergraduate students in the School of Informatics and Computing and the School of Art and Design will design devices, software, and apps that lead to the development of marketable products and new businesses that solve design and engineering problems in the region. A program and incubator facility is in the works to launch early-stage, student-developed businesses that will tap the entrepreneurial talent of our students in support of regional economic development, with the goal of adding new businesses to the region. To increase the number of visitors and their enjoyment of the forest, the Hoosier National Forest is pursuing Dark Sky designation for parts of the forest within Lawrence County. IU students developed prototypes of wireless light sensors and a web interface to track light pollution. The data from these systems will be used to satisfy the requirements for an ongoing application for the Hoosier National Forest to receive International Dark Sky designation.